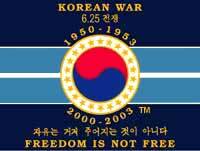 The Korean War was the result of the division of Korea, a country with a well-recognized, ancient integrity. Despite its long history as an independent kingdom, Korea had been forcibly annexed by Japan in 1910. Japan controlled Korea up to the end of World War II. Late on the night of August 10, 1945, as World War II was coming to a close, the United States made the decision that it would occupy the southern half of Korea. The U.S. government did so out of fear that the Union of Soviet Socialist Republics (USSR, or Soviet Union)—which had joined the fight against Japan in northern Korea a week earlier—would take control of the entire Korea Peninsula. American planners chose to divide Korea at the 38th parallel because it would keep the capital city, Seoul, in the American-occupied southern zone; the USSR acquiesced to the division, with no official comment. Both the Soviet Union and the United States proceeded, with much help from Koreans, to build regimes in their halves of Korea that supported their interests. In so doing, they had to contend with major rifts between Korean political factions representing left-wing and right-wing views. These factions originally were united against Japan but had begun to split as early as the 1920s. In the post-World War II era, the main conflict centered around the left’s call for—and the right’s resistance to—a thorough reform of Korea's land ownership laws, which had allowed a small number of wealthy people to own most of the land. As a result, many Korean farmers were forced to eke out an impoverished existence as tenant farmers. During its occupation of the South (1945-1948), the United States responded to the left-right conflict by suppressing the widespread leftist movement and backing Syngman Rhee. A 70-year-old expatriate who had lived for decades in the United States, Rhee had solid anti-Communist credentials and was popular with the right. In the North, the Soviet Union threw its support to the left, embodied by 33-year-old Kim Il Sung, who also received significant support from North Koreans and from China. Kim was a Korean guerrilla who had fought with Chinese Communist forces against the Japanese in Manchuria in the 1930s. Among Kim’s first acts in power was to force through a radical redistribution of land. By the end of 1946 the regimes of both North and South Korea were effectively in place, although the division of the peninsula was not formalized until 1948. In that year, the Republic of Korea (ROK), backed by the United States and the United Nations, emerged in the South under Rhee, and the Democratic People's Republic of Korea (DPRK) emerged in the North under Kim, backed by the USSR and China. The southern government was barely inaugurated before it had to contend with a left-wing guerrilla movement. Although this movement received support from the North, it had its greatest strength in the South, particularly in the southernmost provinces and on Cheju Island off the southern coast. The ROK Army required the better part of 1948 and 1949 to suppress the rebellion, and it did so with the support—and often the direction—of a 500-man contingent of American advisers. By early 1950 the guerrillas appeared to be defeated. Although the Soviets withdrew their troops from the Korea Peninsula at the end of 1948, the Americans, concerned about the rebellion in the South and the potential of invasion from the North, delayed their withdrawal until the end of June 1949. By this time, troops from both North and South Korea were concentrated along the 38th parallel. In May 1949 border fighting broke out and continued, on and off, through December. Thousands of troops were involved. According to formerly classified American reports, the South provoked the majority of the 1949 border fights, prompting American advisers to try to restrain the South. After a U.S. request, military observers from the United Nations were dispatched to Korea. In addition, the United States denied the ROK Army’s requests for combat airplanes and tanks. At about the same time, U.S. Secretary of State Dean Acheson delivered what became known as the “Press Club” speech in Washington, D.C., in which he was ambiguous about whether the United States would defend the ROK in a war. Although Kim Il Sung would be eager to fight in 1950, he was not ready in the summer of 1949. Large contingents of his best North Korean soldiers were still in China, fighting on the side of the Communists in that country’s civil war. In the early months of 1950, however, tens of thousands of these soldiers returned to the DPRK, including the 6th Division under General Pang Ho-san, which had a distinguished record in China. In May 1950 Kim perched this division just above the 38th parallel. He hoped that the summer of 1950, like the summer of 1949, would bring South Korean provocations, which he could use to justify an invasion by the North. Kim claimed he got his provocation with a minor lunge by the South across the parallel in the early morning hours of June 25, 1950. Whether or not the South lunged across the parallel still awaits further evidence, but the North bears the major responsibility for escalating a minor skirmish to the level of massive conventional warfare. Throughout 1949 the Soviet Union feared the consequences that an invasion by North Korea would have on U.S.-Soviet relations. Consequently, for months Soviet leader Joseph Stalin declined to support Kim’s plans for war. In early 1950, however, Stalin appeared to give his endorsement to Kim; he also suggested that Kim seek support from Chinese leader Mao Zedong. The reasons for Stalin’s shift are still not clear but may have been related to American plans for a major Cold War military buildup. The Chinese response to Kim's entreaty is also still unknown, but it seems unlikely that the Chinese did not know of Kim's plans. Indeed, they sent many experienced Korean soldiers back to Korea from China just before the war erupted. The United States maintained throughout 1949 and 1950 that it would not support an invasion of the North by the South. As early as 1947, however, Acheson and his advisers had come to see South Korea as important to the revival of the Japanese industrial economy, which provided goods and services to Korea. From that time on, U.S. policymakers were privately committed to extending the Truman Doctrine, which called for the containment of Communism, to South Korea. Even after U.S. combat troops left South Korea in 1948, a large military advisory group remained in the ROK, and the United States gave the republic great amounts of economic aid. When the Soviet-backed North invaded—unprovoked, in the perception of the U.S. government—Acheson and President Harry S. Truman led the United States into the war, despite objections from many U.S. military commanders who thought Korea was the wrong place to make a stand against Communism. During the summer of 1949, South Korea had expanded its army to about 90,000 troops, a strength the North matched in early 1950. The North had about 150 Soviet T-34 tanks and a small but effective air force of 70 fighters and 62 light bombers—weapons either left behind when Soviet troops evacuated Korea or bought from the USSR and China in 1949 and 1950. By June 1950 American data showed the two armies at about equal strength, with roughly equal numbers amassed along the 38th parallel. However, this data did not account for the superior battle experience of the North Korean army, especially among the troops who had returned from China. The fighting began around 3 or 4 AM on June 25 at the western end of the parallel. Initial intelligence reports were indeterminate as to who started the fighting, but by 5:30 AM the formidable 6th Division of the (North) Korean People’s Army (KPA) had joined the fighting in the west. At roughly the same time, KPA forces in the center of the peninsula dealt a heavy blow to the ROK Army (ROKA) south of Ch’ŏrwŏn. The ROKA fell back and two KPA divisions and an armored brigade crashed through the 38th parallel, beginning a daunting march toward Seoul, which lay just 50 km (30 mi) to the south. Just 20 km (12 mi) north of Seoul stood the town of Uijŏngbu, a critical line of defense for the South maintained by an ROKA division. By the morning of June 26, the division at Uijŏngbu had not committed its forces to battle, probably because it was waiting to be reinforced by another division from the interior of South Korea. However, when the reinforcing division finally arrived on June 26, troops panicked, mutinied, and fled. The reasons for the mutiny were many, including the relative lack of ROKA firepower, poor training, and ultimately the unpopularity of the Rhee government—which had nearly been voted out of office in relatively free elections held a month earlier. The collapse at Uijŏngbu left a gaping hole in the South Korean defensive line, and North Korean troops poured through. The ROK government fled Seoul, which was taken on June 28 by a force of about 37,000 North Korean troops. The quick and virtually complete collapse of resistance in the South energized the United States to enter the war in force. Secretary of State Acheson dominated the decision making and soon committed American air and ground forces to the fight. Acheson successfully argued that the United States should increase military aid to the ROK and provide air cover for the evacuation of Americans from Korea. He also persuaded the president to place the Seventh Fleet of the U.S. Navy in the Taiwan Strait. This was needed, he argued, to prevent the Communist Chinese government on the mainland from invading the island of Taiwan, where the Nationalist Chinese government had retreated after the mainland fell to the Communists in 1949. The following day Acheson developed the fundamental strategy for committing American air and naval power to the Korean War, a strategy approved by Truman that evening but not yet approved by the United Nations, the Department of Defense, or the U.S. Congress. UN support for the defense of South Korea enabled Truman and Acheson to gain public support for U.S. intervention. Only two days after the invasion, on June 27, at the urging of the United States, the UN Security Council voted to repel the North Korean invasion. The USSR, which could have vetoed the vote, instead boycotted it. The USSR claimed its boycott was a response to the UN’s refusal to admit Communist China; however, historians have been unconvinced by this argument. On June 25 Stalin explicitly told the USSR’s UN representative not to return to the Security Council, but Stalin's reasons for this order are not known. Some historians speculate that Stalin either wanted to draw U.S. forces into a war that would drain the country of troops and money, or that he hoped to reveal the UN as an American tool. American ground troops were finally committed in the early morning of June 30, over the reluctance of the Joint Chiefs of Staff (the United States’ top military officers). The Joint Chiefs were concerned about the limits of American power. In June 1950 the total armed strength of the U.S. Army was 593,167, with an additional 75,370 Marines. North Korea alone was capable of mobilizing perhaps 200,000 combat soldiers, in addition to the immense reserve of China’s People’s Liberation Army (PLA). Nonetheless, Truman and others were motivated by the news that the ROKA had mostly ceased to fight. Truman did not seek a declaration of war from the U.S. Congress, relying instead on the United Nations’ support. In July, World War II hero General Douglas MacArthur was placed in command of U.S. troops in Korea. At first MacArthur wanted only a regimental combat team. Within a week, however, he cabled Washington that the KPA was “operating under excellent top level guidance and had demonstrated superior command of strategic and tactical principles.” He consequently asked for a minimum of 30,000 American combat soldiers in the form of four infantry divisions, three tank battalions, and assorted artillery. In the summer of l950 the Korean People’s Army pushed southward with dramatic success, inflicting one humiliating defeat after another on the American forces. An army that had defeated Germany and Japan in World War II found itself overwhelmed by what many thought was a hastily assembled, ill-equipped peasant army said to be doing the bidding of a foreign imperial power. By the end of July 1950, the combined U.S. and ROK forces numbered 92,000 at the front (47,000 were Americans), compared with 70,000 KPA soldiers at the front. Nonetheless, the KPA advance continued until the North Korean forces occupied roughly 90 percent of South Korea. Kim Il Sung later said that his plan had been to win the war in a single month, and by the end of July he nearly had done so. In the first week of August the U.S. 1st Marine Brigade arrived and finally stabilized the U.S. and ROK forces, which by that time guarded only a small area on the southeasternmost part of the peninsula. The right-angled front, known as the Pusan Perimeter, stretched 80 km (50 mi) from P’ohang on Yŏgil Gulf to Taegu in the interior before bending south 110 km (70 mi) to the coastal Chinju-Masan region. The port city of Pusan lay behind the front on the peninsula’s southeastern tip. The city of Taegu became a symbol of the American determination to halt the KPA's advance, and many attacks were repelled there. However, it was probably due to a tactical error at P’ohang, on the northeastern perimeter, that the KPA failed to occupy Pusan and unify the peninsula. The official American historian of the war, Roy Appleman, wrote that the "major tactical mistake" of the North Koreans was not to press their advantage on the eastern coastal road between P’ohang and Pusan. The KPA division near P’ohang was concerned about covering its flanks and so held its position. Had it instead moved quickly on P’ohang and then combined with other KPA divisions, Appleman concluded that Pusan in all likelihood would have fallen. In any event, the perimeter held for most of August. At the end of August KPA forces launched their last major offensive at the perimeter, severely straining the American-Korean lines for the next two weeks. On August 28 three of the advancing KPA battalions succeeded in breaching the critical parts of the perimeter. The cities of P’ohang and Chinju were both lost, with KPA forces advancing along both coasts to Pusan. Another assault was being launched on the city of Taegu, with enough success that U.S. commanders evacuated the Eighth Army headquarters from Taegu to Pusan. Prominent South Koreans began leaving Pusan for the nearby Tsushima Islands of Japan. Only in mid-September did it become clear that the U.S. and ROK armies would stop the advance. The decisive factor was numbers. MacArthur succeeded in committing most of the battle-ready divisions in the entire American armed forces to the Korean fighting; by September 8 the 82nd Airborne Division was the only combat-trained Army unit not in Korea. Although many of these units were with the pending amphibious operation that would land at Inch’ŏn, near Seoul, some 83,000 American soldiers and another 57,000 South Korean and British troops faced the North Koreans at the Pusan front. North Korean forces at the front, including guerrillas and a sizable number of female soldiers, numbered 98,000. The Americans had also accumulated five times as many tanks as the KPA and vastly superior artillery. They also had complete control of the air, which they had maintained since the early days of the war. The price for repelling the assault was steep casualties, totaling 20,000 Americans, with 4,280 dead, by September 15. In mid-September 1950, MacArthur oversaw an amphibious landing at Inch’ŏn, a port 35 km (22 mi) west of Seoul. The harbor at Inch’ŏn had treacherous tides that could easily have grounded a flotilla of ships landing at the wrong time. Fortunately, Admiral Arthur Dewey Struble, the Navy's foremost expert on amphibious landings, commanded the flotilla. Struble had led the World War II landing at Leyte in the Philippines, and he had directed naval operations off Omaha Beach during the Normandy invasion in Europe. These World War II experiences served him well at Inch’ŏn, where he commanded an enormous fleet of 261 ships through the shifting bays and flats, depositing 80,000 Marines ashore with very few losses. Although the Marines landed almost unopposed, they faced a deadly gauntlet before arriving at Seoul. By the end of September, however, U.S. forces had fought their way into Seoul and recaptured the capital. For years, many American historians held that the North Koreans were surprised by the invasion, but new evidence suggests that this was not the case. The North Koreans simply could not resist the assault and so began what North Korean historians have called euphemistically "the great strategic retreat," removing their troops from the South to guard their northern homeland. Shortly after the Inch’ŏn landing, U.S. forces retrieved a document that contained Kim Il Sung’s thoughts on the fighting in the South. “The original plan was to end the war in a month,” he wrote, but “we could not stamp out four American divisions.” Instead of following orders to march promptly southward, the North Korean units that had captured Seoul dallied, thereby giving “a breathing spell” to the Americans. Kim wrote that from the beginning the North’s “primary enemy was the American soldiers,” but he acknowledged that “we were taken by surprise when United Nations troops and the American Air Force and Navy moved in.” This suggests that Kim anticipated the involvement of American ground forces, but not in such size, and not with air and naval units. Perhaps the North Koreans believed that Soviet air and naval power would either deter or confront their American counterparts. Or perhaps they simply believed, like the U.S. Joint Chiefs of Staff, that the vast majority of American battle-ready infantry would not be transferred from all over the globe to this small peninsula of seeming marginal importance to U.S. global strategy. Regardless, by early October 1950 the North had been pushed from South Korea. The war for control of the South left 111,000 South Koreans killed, 106,000 wounded, and 57,000 missing; 314,000 homes had been destroyed, 244,000 damaged. American casualties totaled 6,954 dead, 13,659 wounded, and 3,877 missing in action. North Korean casualty figures are not known. The U.S.-led forces might have reestablished the 38th parallel as the border between North and South Korea, ended the war, and declared that the Truman Doctrine’s policy of containing Communism had been achieved. Instead, MacArthur sent troops across the parallel into North Korea in early October. Historians later faulted MacArthur for taking this action without Truman’s approval, but evidence has since shown that Truman approved the march north at the end of August, even before the landing at Inch’ŏn. As the summer progressed, nearly all of Truman’s senior advisers decided the chance had come not only to contain Communism but to roll it back. Thus, National Security Council document 81 authorized MacArthur to "roll back" the North Korean regime if there were no Soviet or Chinese threats to intervene. The document also instructed MacArthur to use only Korean troops near the Chinese border so as not to further antagonize China. In September and October 1950 U.S. intelligence agencies generally concluded that China would not enter the war. On September 20 the Central Intelligence Agency (CIA) noted that there was a slight possibility that Chinese "volunteers" might enter the fighting, and a month later it noted "a number of reports" that units from Manchuria (along the Chinese border with Korea) might be sent to North Korea. Nonetheless, the CIA decided that "the odds are that Communist China, like the USSR, will not openly intervene in North Korea." MacArthur swept confidently onward. By October 19 UN troops had captured the North Korean capital, P’yŏngyang, lying 150 km (90 mi) northwest of the 38th parallel. Three days earlier, Chinese troops had crossed their border at the Yalu River into North Korea. They dealt heavy losses to ROK troops and bloodied U.S. forces as well, then abruptly ceased offensives for three weeks. This incursion by China did not stop the American march to the Yalu. General Walter Bedell Smith, director of the CIA, wrote on November 1 that the Chinese "probably genuinely fear an invasion of Manchuria." He also predicted the Chinese would try to establish a buffer zone along the border for security "regardless of the increased risk of general war." However, the CIA still found insufficient evidence throughout November that China would mount a major offensive. North Korean and Chinese documents released or declassified in the 1980s and 1990s tell a different story. China did not enter the war purely to protect its border. Rather, Mao decided early in the war that should the North Koreans falter, China had an obligation to help them because many North Koreans had sacrificed their lives alongside Chinese—in the Chinese revolution that overthrew the imperial government in 1911 to 1912, in resistance to Japan’s decades of occupation, and in the Chinese civil war of 1946 to 1949. On August 4, 1950, Mao told the Chinese Politburo (the highest decision-making body of the Chinese Communist Party) that he intended to send troops to Korea "in the name of a volunteer army" should the Americans reverse the tide of battle. The day after UN troops crossed the 38th parallel, Mao informed Stalin of his decision to invade. In other words, it was not the approach of American troops on the Chinese border that prompted China’s attack; it was the American strategy to roll back North Korean Communism. The North Koreans and Chinese apparently waited to attack UN forces until they were well inside North Korea in order to stretch the UN supply lines and gain time for a dramatic reversal on the battlefield. On November 24 MacArthur launched a general offensive all along the northern front, which was nearing the Yalu. He described it as a "massive compression and envelopment," a pincer movement to trap the remaining KPA forces that were backed into the mountainous northern part of the peninsula. The offensive rolled forward for three days against little or no resistance, with ROK units succeeding in entering the important city of Ch’ŏngjin on the upper east coast, 70 km (45 mi) short of China. Lost amid the victory were reports from U.S. reconnaissance pilots that long columns of enemy troops were "swarming all over the countryside." Chinese and North Korean troops began strong counterattacks on November 27, 1950, dealing devastating blows to U.S. and ROK troops. The U.S. 1st Marine Division was pinned down at the Changjin Reservoir, the ROK II Corps collapsed, and within two days a general withdrawal ensued. By December 6, Communist forces occupied P’yŏngyang, and the next day the front was only 32 km (20 mi) above the 38th parallel. A little more than two weeks after the Sino-Korean offensive began, North Korea was cleared of enemy troops. Chinese troops in North Korea numbered approximately 200,000. On New Year’s Eve Chinese and North Korean troops launched another major offensive, once again capturing Seoul. Secretary of State Acheson later called this the worst American defeat since the Battle of Bull Run during the American Civil War (1861-1865). Under the field command of U.S. Lieutenant General Matthew Ridgway, UN troops finally stiffened their defenses south of Seoul in early 1951. Bloody weeks of fighting ensued as UN troops fought northward to the Han River, opposite the capital. Several more weeks passed before Seoul changed hands again, and in early April, Ridgway's forces again crossed the 38th parallel. By then fighting had stabilized more or less along what later became the Korean demilitarized zone, with UN forces in occupation north of the parallel on the eastern side, and Sino-North Korean forces occupying swatches of land south of the parallel on the western side. As early as November 30, 1950, Truman said the United States might use any weapon in its arsenal to hold back the Chinese, an oblique reference to the atomic bomb. This threat apparently deeply worried Stalin. According to a high official who served at the time in the KGB (the Soviet intelligence agency), Stalin feared that global war would result from the American defeat in northern Korea and favored letting the United States occupy all of Korea. "So what?" Stalin is reported to have said. "Let the United States of America be our neighbors in the Far East. … We are not ready to fight." China, however, held a different view, apparently willing to fight at least to the middle of the Korea Peninsula, though not further if the consequence might be a third world war. The U.S. government seriously considered using nuclear weapons in Korea in early 1951. The immediate threat was the USSR’s deployment of 13 air divisions to East Asia, including 200 bombers that could strike not just Korea but also American bases in Japan; and China’s deployment of massive new forces near the Korean border. On March 10, 1951, MacArthur asked Truman for a "D-Day atomic capability"—the ability to launch a massive nuclear assault. Truman complied, ordering the Air Force to refurbish the atomic bomb loading pits at Okinawa, Japan, which were used during World War II. Atomic bombs were then carried to Okinawa unassembled and put together at the base, lacking only the essential nuclear cores. On April 5, the Joint Chiefs of Staff ordered immediate atomic retaliation against Soviet and Chinese bases in Manchuria if large numbers of new troops entered the war. Also on April 5, Gordon Dean, chairman of the Atomic Energy Commission (AEC), arranged for the transfer of nine nuclear capsules held by the AEC in the United States to the Air Force bomb group that would carry the weapons. Truman approved the transfer as well as orders outlining their use the next day. The president also used this extraordinary crisis to get the Joint Chiefs of Staff to approve MacArthur's removal. For some time, MacArthur had chafed against restrictions placed on him by Truman. MacArthur sought to expand the war to mainland China and ignored Truman’s orders to use only Korean troops near the Chinese border. On April 11, 1951, Truman asked for MacArthur’s resignation. Most observers assumed Truman wanted a more subordinate commander. Although this observation was partly true, U.S. government documents later made clear that Truman wanted a reliable commander in the field should Washington decide to use nuclear weapons. Truman, in short, was not sure he could trust MacArthur to use nuclear weapons as ordered. By early summer 1951 the war had settled into the pattern it would follow for the next two years: bloody fighting along the 38th parallel, most of it in trench warfare reminiscent of World War I (1914-1918), and tortuous peace negotiations. During this time the UN forces engaged mainly in a series of probing actions known as the active defense. Periods of heavy fighting continued, however, both on the ground and in the air. Although the Communists could not sustain another major offensive, their well-entrenched forces made even the UN's active defense strategy very costly. Some of the most desperate battles took place on the hills called Old Baldy, Capital, Pork Chop, T-Bone, and Heartbreak Ridge. On June 23, 1951, the USSR’s representative to the UN, Adam Malik, proposed that the warring parties begin discussions for a cease-fire. Truman agreed, and the ancient Korean capital of Kaesŏng, located just south of the 38th parallel, was chosen as a meeting place. Truce talks began on July 10, led initially by U.S. Vice Admiral C. Turner Joy for the UN side, and Lieutenant-General Nam Il of North Korea. The talks dragged on interminably, with several suspensions and a removal of the truce site to the village of P’anmunjŏm, just southeast of Kaesŏng. There were months of haggling over how to properly and fairly mark each side's military lines, but the main issue that prolonged the negotiations was the disposition of the many prisoners of war (POWs) on both sides. The North Koreans had maltreated many American and allied POWs, harshly depriving them and subjecting many to political thought reform that was decried as "brainwashing" in the United States. In the South’s POW camps, a virtual war ensued over repatriation. About one-third of North Korean POWs and a much larger percentage of Chinese POWs did not want to return to Communist control, prompting struggles among pro-Communists and anti-Communists. Meanwhile South Korea refused to sign any armistice that would keep Korea divided, and the South’s Syngman Rhee sought to hinder the talks by abruptly releasing thousands of North Korean POWs who did not want to return home. The United States decided Rhee could not be trusted and developed plans to remove him in a coup d'état. The coup was never carried out. The POW issue was finally settled on June 8, 1953. The Communists agreed to the placement of POWs who refused repatriation under the control of a neutral commission of nations for three months; at the end of this period those who still refused repatriation would be set free. Two final and costly Communist offensives in June and July 1953 sought to gain more ground but failed, and the U.S. Air Force for the first time destroyed huge irrigation dams that had provided water for 75 percent of the North's food production. Although not widely reported, hundreds of square miles of farmland were inundated. On July 27, 1953, the UN, North Korea, and China signed an armistice agreement—South Korea refused to sign—and the fighting ended. The armistice called for a buffer zone 4 km (2.5 mi) wide across the middle of Korea, from which troops and weapons were supposed to be withdrawn. This "demilitarized zone" was in fact heavily fortified; as of the late 1990s, more than 1 million soldiers confronted each other along the zone. With no peace treaty signed, the two Koreas remained technically still at war; only the armistice agreement and demilitarized zone kept a tenuous peace. The Korean War was one of the most destructive of the 20th century. Perhaps as many as 4 million Koreans died throughout the peninsula, two-thirds of them civilians. (This compares, for example, with the 2.3 million Japanese who died in World War II.) China lost up to 1 million soldiers, and the United States suffered 36,934 dead and 103,284 wounded. Other UN nations suffered 3322 dead and 11,949 wounded. Economic and social damage to the Korea Peninsula was incalculable, especially in the North, where three years of bombing left hardly a modern building standing. The war also had lasting consequences beyond Korea. Much of the materiel used in the war was bought from nearby Japan. This gave the Japanese economy such a dynamic boost after the ravages of World War II that some have called the Korean War "Japan's Marshall Plan," a reference to the U.S. economic aid program that helped rebuild post-war Europe. The Korean War had similar effects on the American economy, as defense spending nearly quadrupled in the last six months of 1950. Perhaps even more so than World War II, the Korean War was responsible for establishing America’s chain of military bases around the world and its enormous defense and intelligence system at home. Decades later, Koreans still seek reconciliation and eventual reunification of their torn nation.